A big storm was predicted to blow through town last weekend, and I decided to head downtown to try my luck at getting some lightning pictures. But when I got there, I checked the forecast to see that I had seriously misjudged the storm or that the forecast had changed, since now the storm was predicted to reach us in a few hours. Since I had to be at work early the next morning, I gave up on the storm but did get a few pictures of the old Cathedral of St. Andrew on Louisiana Street. 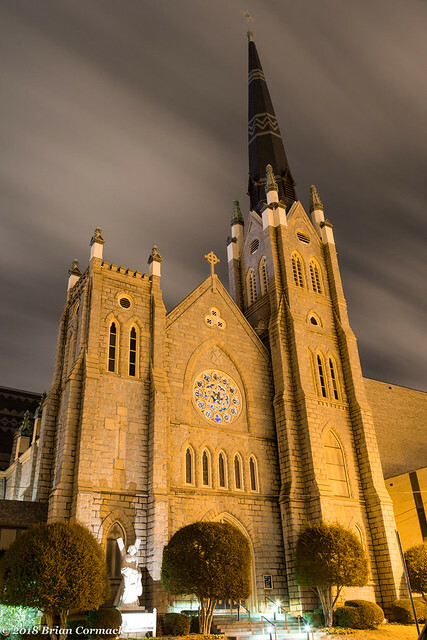 The church was built in 1887 and was for awhile the tallest building in the city. I set up the camera to get a few pictures but there were some huge streetlights nearby that were causing some havoc with the camera, producing some huge lens flares in the pictures. I guess it makes sense, the people in charge of the parking lot were probably more concerned with getting adequate light for the people parking there, and not thinking about any poor photographers who would ramble through. But I ended up moving the car so that it blocked most of the light. The car wasn't quite tall enough, so I stuck a stroller on top and that finally managed to block all of the light. After all that, I went to take a picture and then managed to knock the tripod over and then the camera slammed into the concrete. Luckily it was ok after all that. 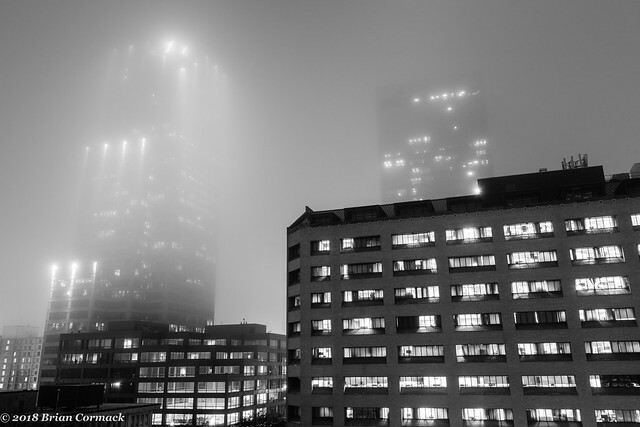 The other day was one of those dreary winter days, and by the time I got off work there was a thick fog that had enveloped the city. I got home from picking up Jonah and pretty much before I could say anything, Caroline asked "do you want to take pictures?" I gleefully said yes like a kid in a candy store and grabbed the camera and headed out into the mist. Since it was rush hour and it was foggy, traffic was backed up (I think it was a solid line of cars on Central Avenue from University to I-430). Luckily it wasn't that bad if you were heading downtown, and I managed to make it just before it got dark. 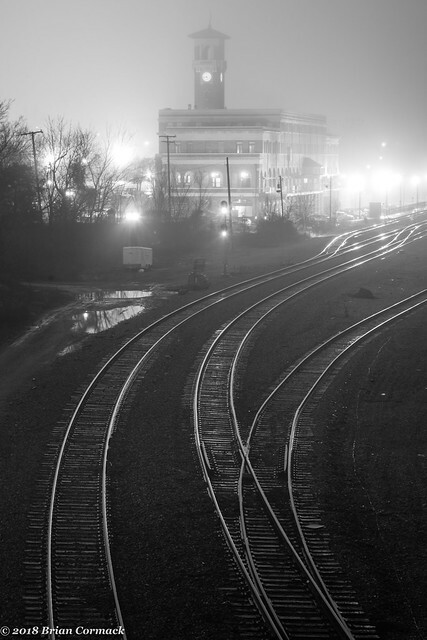 I stopped first at this view of the old Union Station, taken from a bridge on Cantrell. It was hard to get a good shot from here though because the steady stream of traffic made the bridge bounce. I headed over to the station to try to get a few pictures. 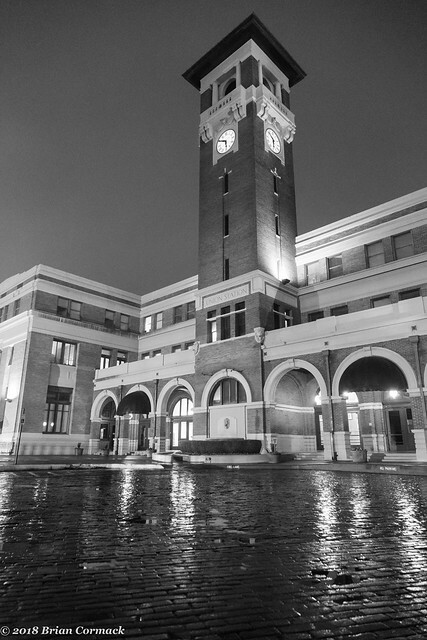 Union Station was built in 1921, and still serves Amtrak trains. I did a few test shots with the camera to try to figure out a few compositions, and then set up the tripod. But as soon as everything was ready, a big van pulled up right in front of the building and parked (waiting on someone inside the building, I guess). I waited a few minutes for them to leave, but they didn't budge and they were right in the way. 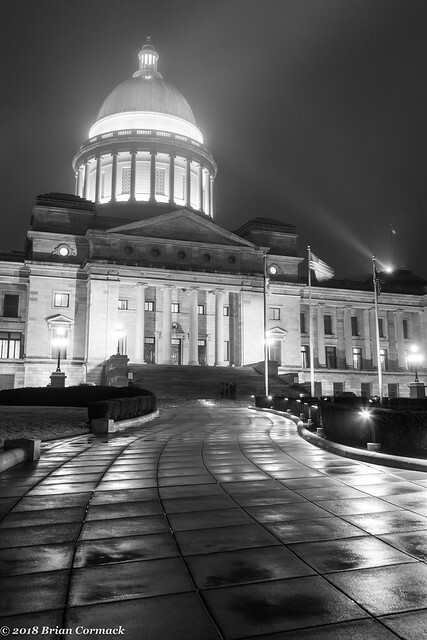 So I gave up, but at least the test shot turned out ok.
From there I headed over to the State Capitol, where a light rain had started to fall through the thick fog (which went right onto the camera lens like it was attracted to it by a magnet). 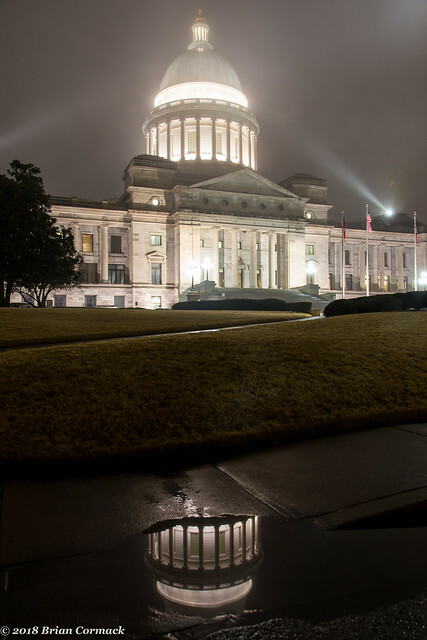 I headed across the street to get this view, which is actually the large spotlight that is used to illuminate the capitol dome at night (and not an alien beam coming down to teleport some of our state representatives back to their home planet). 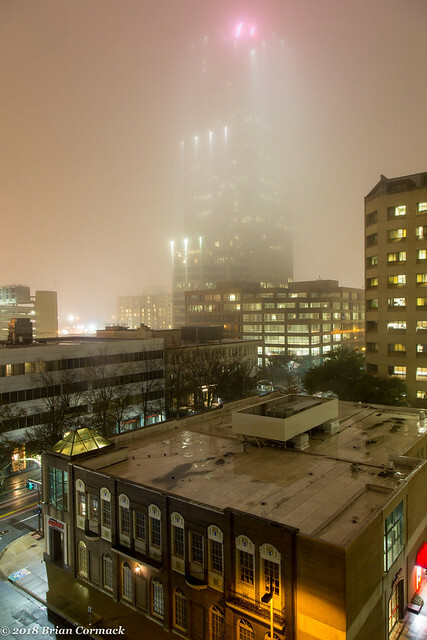 After that, I headed over to parking deck near the Tower Building that provides a pretty decent view (even though it was still too foggy to see most of the buildings). From there I made a quick stop at the Pulaski County Courthouse, which was built in 1889. 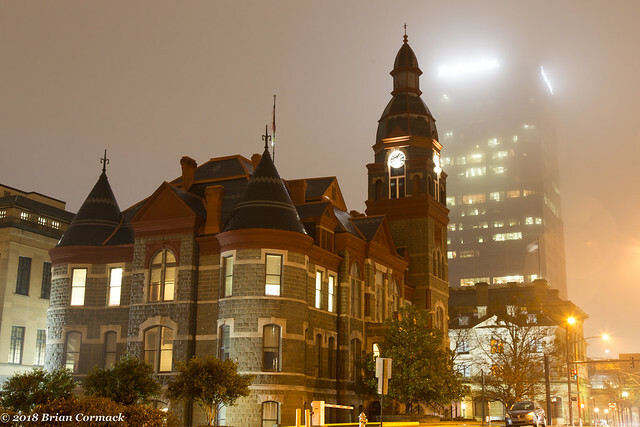 The newer Stephens Building next to it was more hidden by the fog. The camera battery was starting to get low, so I made one last stop for the night at the Junction Bridge. 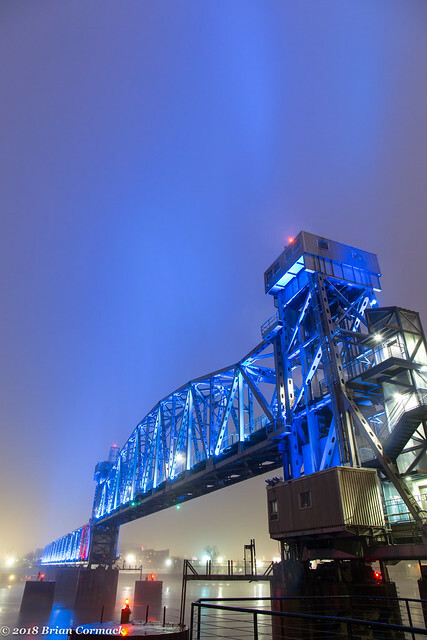 The LED lights on the bridge were shining up into the fog, giving the sky a blue tint. At this point I was also getting hungry, since I hadn't had dinner yet. 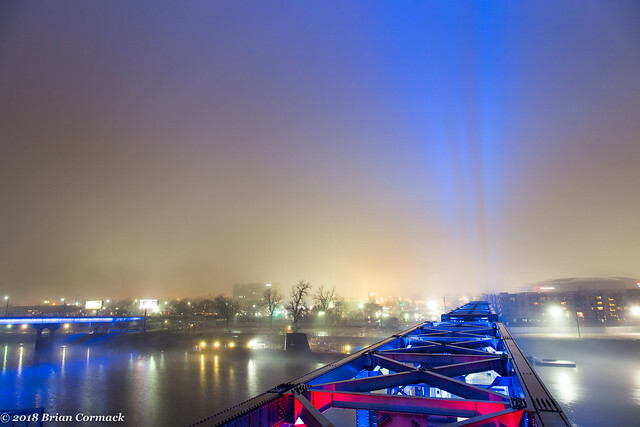 It didn't help that smells from the nearby restaurants in the River Market kept on drifting over in the fog. This is the view, looking down from the top of the bridge (taken by the elevator on one of the bridge towers), looking towards the Arkansas River and North Little Rock. There was a bit of fog drifting along the water. 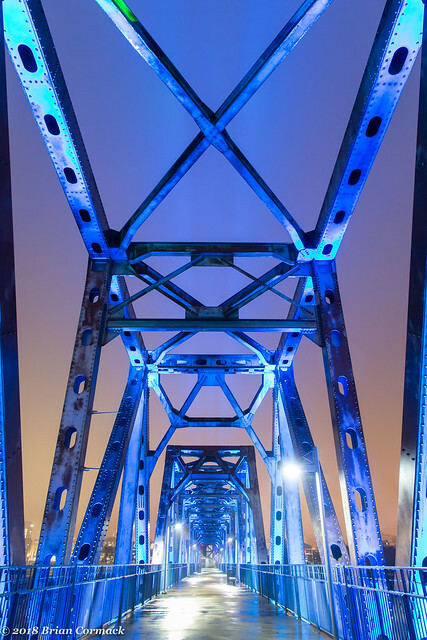 And one last shot before the camera battery died, looking down the bridge with the fog reflecting back the lights from the bridge. Last weekend, I woke up before dawn and drove through the darkness to the Holla Bend National Wildlife Refuge near Dardanelle. 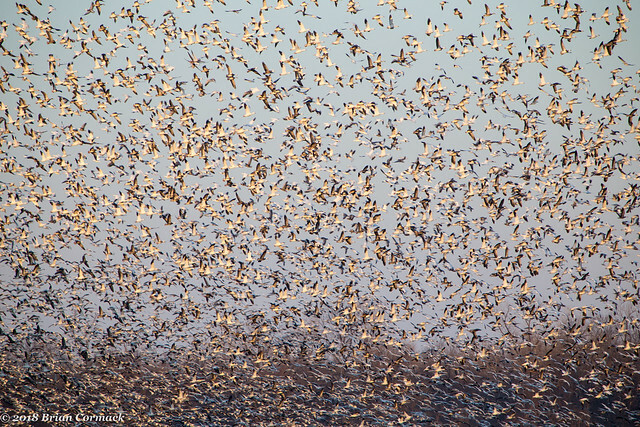 The 6,400 acre refuge along the Arkansas River is home to thousands and thousands of birds, especially during the winter. 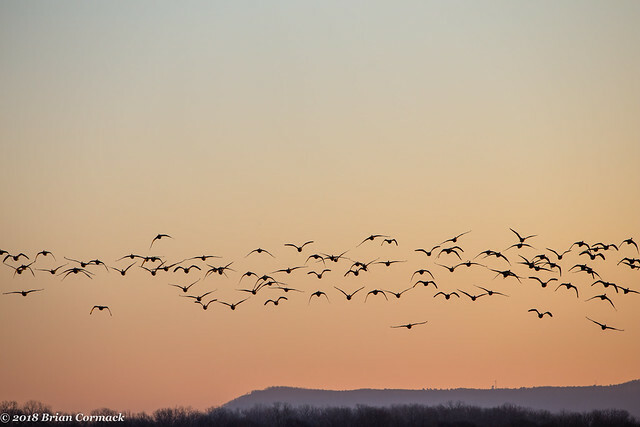 In fact it's estimated that about 100,000 ducks and geese spend their winters here. I arrived there just around sunrise, and drove down the dusty dirt roads while on the lookout for birds. 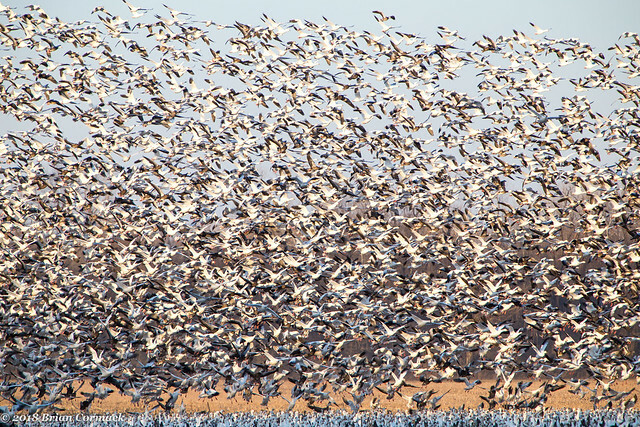 They weren't hard to find, there was one field that was home to a massive flock of snow geese. I left the warmth of the car and tried to get a few pictures. 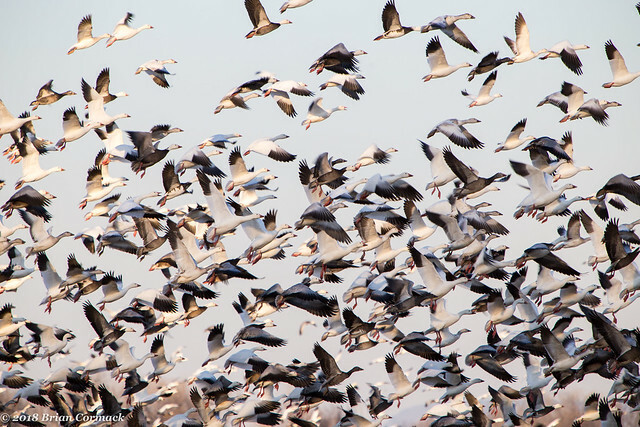 The snow geese were all sitting in the middle of a field, and would all take off without notice with a sound like a car driving by. There was also the loud sound of lots of honking and squeaking from the thousands of birds. The sheer amount of birds filled the sky (it helped that I had a zoom lens). I was glad to see the birds, since the last time I drove out to Holla Bend (in 2016), I went too late in the season and the birds had already migrated back north. The Refuge was created in 1957, and is home to all sorts of birds. There are several bald eagles that live here in the winter, although I didn't see while I was there. I did instead see several other photographers out there searching for eagles (who, based on pictures I saw later, had much better luck than I did finding them). 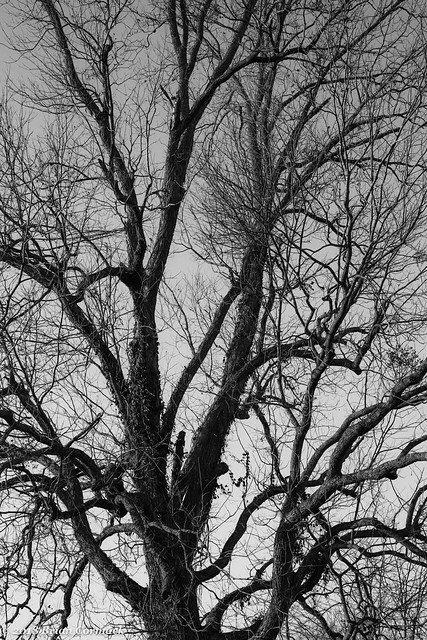 While driving around the refuge, I did stop to take a few pictures of some of the massive old trees that were also protected in the refuge. It had been extremely cold that week, with temperatures dropping well below freezing. 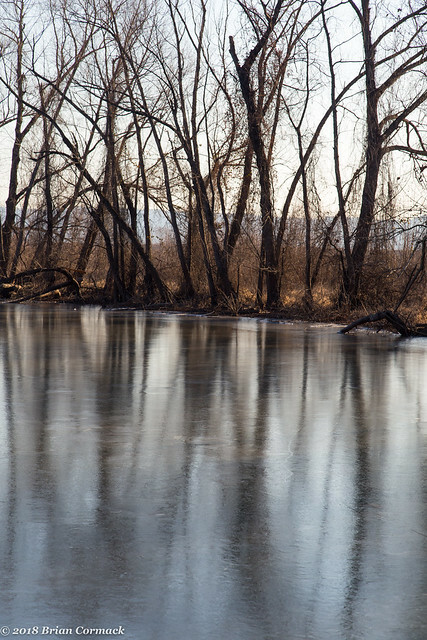 The refuge is surrounded by an oxbow lake that was once part of the Arkansas River, and it was covered with a thick layer of ice. I headed back into the warmth of the car and started the drive home, but made one quick stop at this old house along the way for one last shot. 2017 went by really quickly, it just seems like yesterday I was sitting at this computer trying to come up with a post talking about my pictures from 2016. It was a busy and crazy year, but there were some great moments. I think Caroline and I will cherish the memory of watching Jonah take his first steps. We also were lucky enough to be able to travel more in 2017, and I worked hard to get out and take as many pictures as I could. So below are some of my favorite pictures from the year that was, I hope y'all like them! 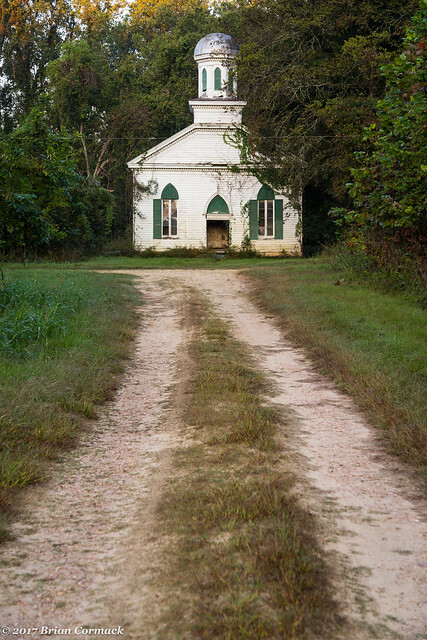 October 14: Near Rodney, Mississippi. 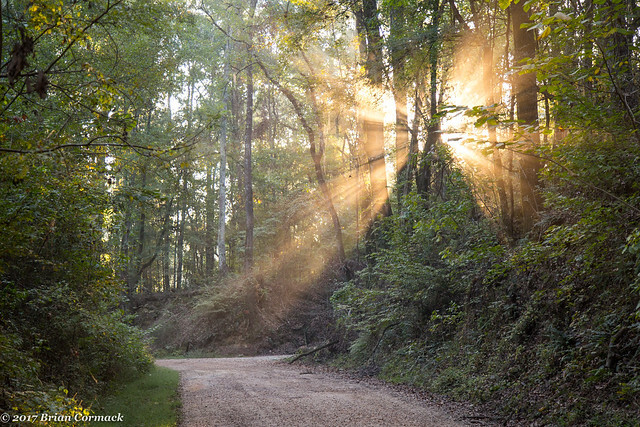 This was taken on an extremely dusty dirt road, not too far from the small ghost town of Rodney, Mississippi. There was no one else around, and I didn’t hardly encounter any traffic at all while driving down this road. Except, of course, until I saw the sun burst through the trees and I stopped to get a picture. As soon I stepped out of the car, someone drove up behind me. I hurried to get a few pictures so I could move out of the way. Luckily they seemed to be fairly patient. 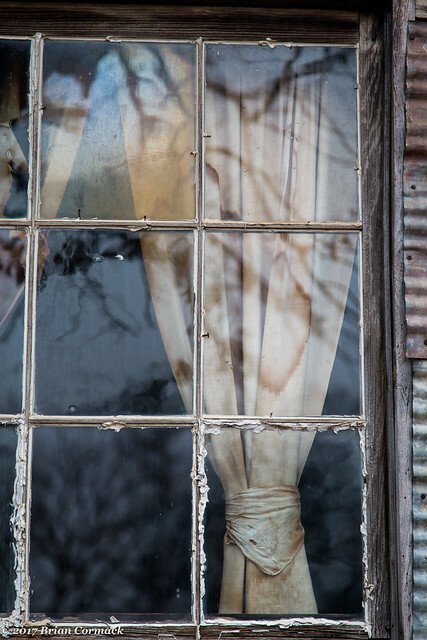 This is the window of an old house that my family bought way back in 1871. The house and the land it sits on were recently sold, which means that the house will probably be torn down in the next few weeks. 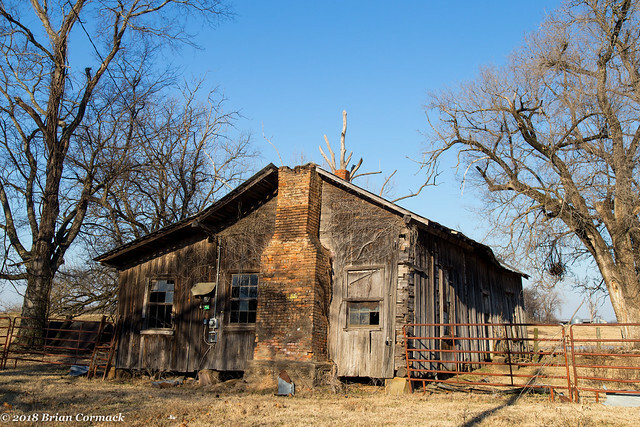 It’s a shame, especially since that old house has been around for so long. Luckily we were able to take one last trip inside for a few pictures. 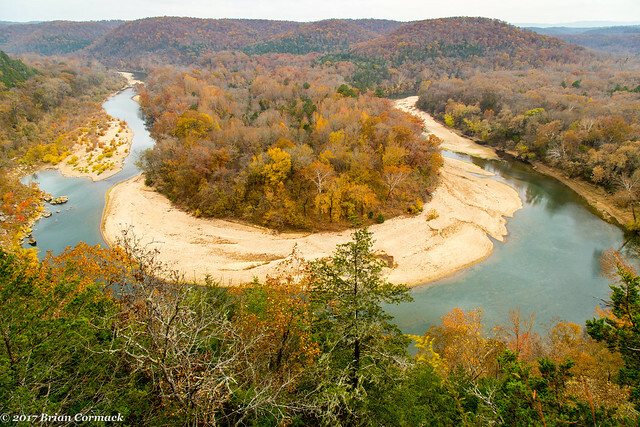 November 4: Red Bluff, Buffalo National River, Arkansas. I took this picture while on a trip with my old photo buddy Zack, who I hadn’t seen in awhile since he converted an old school bus into a rolling house and had spent 2017 driving around the country. He was back in Arkansas for a bit and we headed out to this awesome overlook over a horseshoe bend along the Buffalo River. We were maybe a few days too late to catch the peak of fall color here, but it was still a great view. 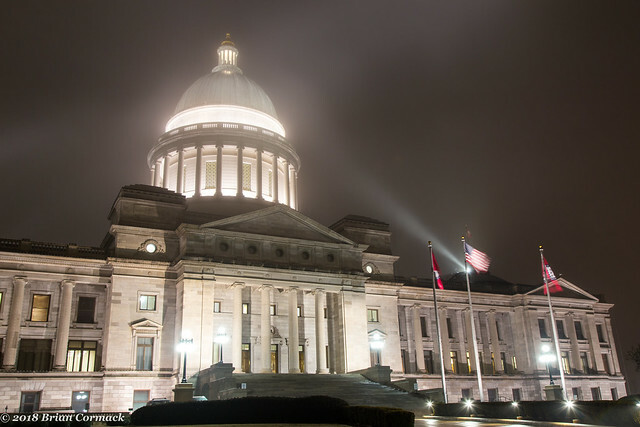 This picture ended up being published in the Arkansas Times in November. March 16: Little Rock, Arkansas. 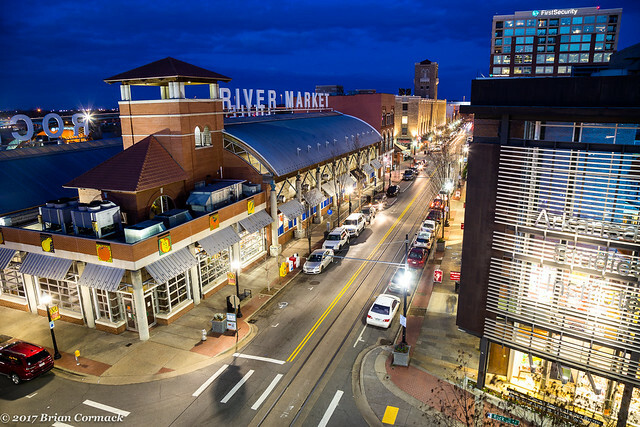 The Central Arkansas Library just opened a new parking deck, which provides this great view over Clinton Avenue and the River Market. It’s a great place for pictures, especially since it’s also very convenient to the Flying Saucer. 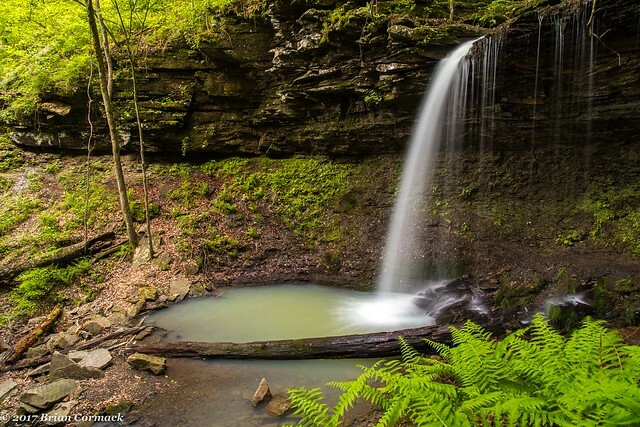 April 2: Sally Ann Hollow, Ozark National Forest, Arkansas. I met up with Matt Kennedy and we hiked into Sally Ann Hollow, which is a neat area with lots of waterfalls. It wasn’t the easiest place to hike, since it looks like a tornado passed through here and knocked over a lot of trees. Which meant having to either scramble along the steep hillside or trying to bushwhack through a maze of fallen tree limbs. 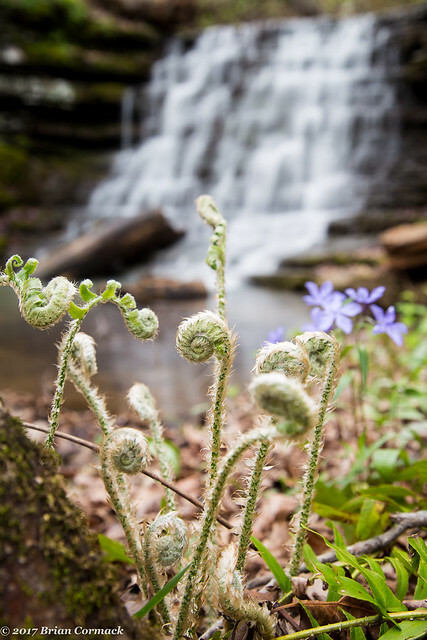 But we managed to pass through enough to find this waterfall, with a small collection of fiddlehead ferns growing in front of it. 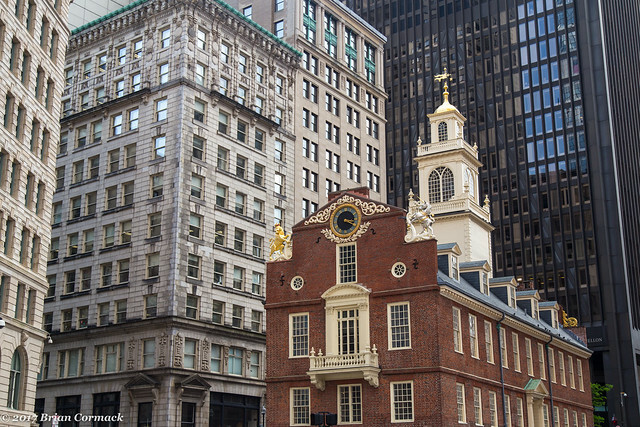 We only had one full day to really explore Boston, and we decided to do the Freedom Trail. Our timing wasn’t that great, since it was also the day there was a massive parade through downtown. Many streets were blocked, and there were thousands of people crowding the narrow old streets that were still open. Of course, we were trying to navigate all this while pushing a toddler in a stroller. But we did manage to see most of the Freedom Trail, including The Old State House. It was built in 1713 and is one of the oldest public buildings in the country. Before the Revolution, the building served as the seat of the colonial government. It was in front of the building where the Boston Massacre occurred in 1770. October 15: New Orleans, Louisiana. 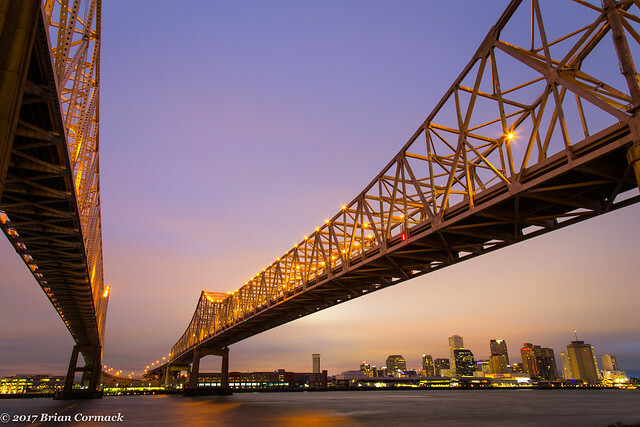 We took a trip to the Gulf Coast in October, which included a few days in New Orleans. 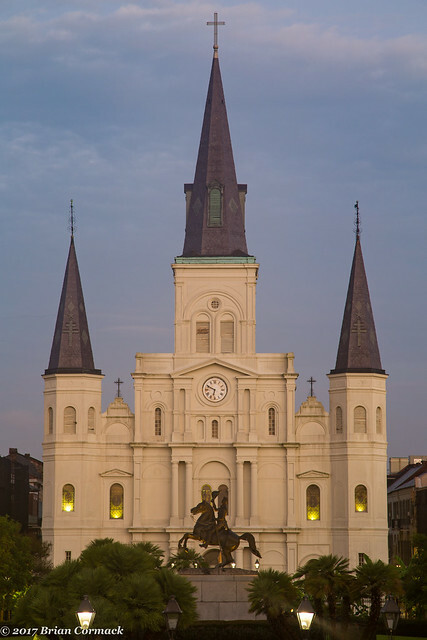 Early one morning, I headed down to Jackson Square to get some pictures of the St. Louis Cathedral at sunrise. I was surprised at how busy it was, even that early in the morning. There were people who were clearly just finishing up their night of partying, who were out watching the sunrise over the Mississippi River. When I was at this spot taking pictures, two women came by and they were both searching for the shoes they had lost there the night before. Oddly enough, I could relate since our toddler lost one of his shoes somewhere in the French Quarter the night before as well. We broke up the drive to New Orleans by stopping for the night in Natchez, Mississippi. I woke up early the next morning and drove to the nearby ghost town of Rodney to get a few quick pictures before we headed to New Orleans. One of the buildings that I was most looking forward to seeing in Rodney was this old Baptist church, which was built in 1850 but has been abandoned for decades. But I drove up there and was frustrated too see that someone had parked their car right in front of the building. I’m not that skilled at Photoshop where I could fix something as glaring as a car parked right in the middle of a picture, so I looked around to find who the car belonged to. It would turn out to belong to a group of people from Texas who were actually sleeping in a tent inside the church. I hated to bother them, but I asked if they wouldn’t mind moving the car. Luckily, they didn’t seem to mind too much (they were probably relieved that someone wasn’t yelling at them for trespassing or something like that). They had driven to Rodney because they wanted to camp in a ghost town on Friday the 13th. They didn’t report seeing any ghosts there. We had the day off for New Year’s Day, so we went out and drove around for a bit. We took Jonah with us, and he promptly fell asleep in the car seat and was out for several hours as we drove around Keo and Scott. 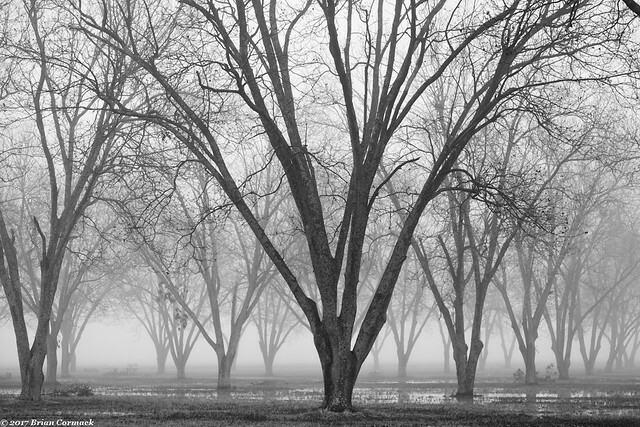 Here the pecan orchards in Keo were shrouded in a thick fog. This was taken inside an old abandoned warehouse in Helena, not too far from the Mississippi River. The building looks to have been abandoned for a while now, the only life being a few trees trying to grow inside the cavernous building. 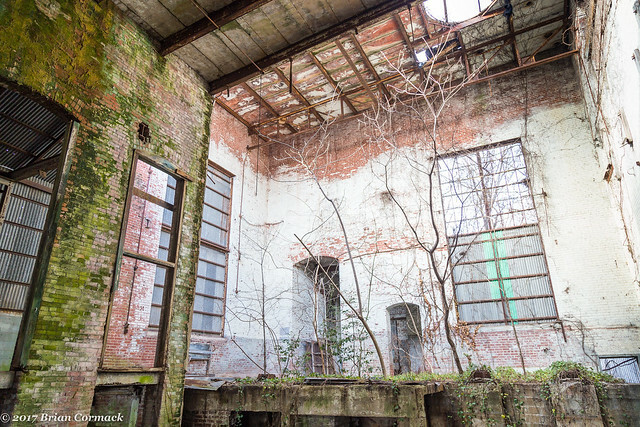 I’ve just about finished up a photography project that has focused (pun intended) on abandoned buildings in the Delta. Hopefully in 2018 I’ll be able to get it shown somewhere. 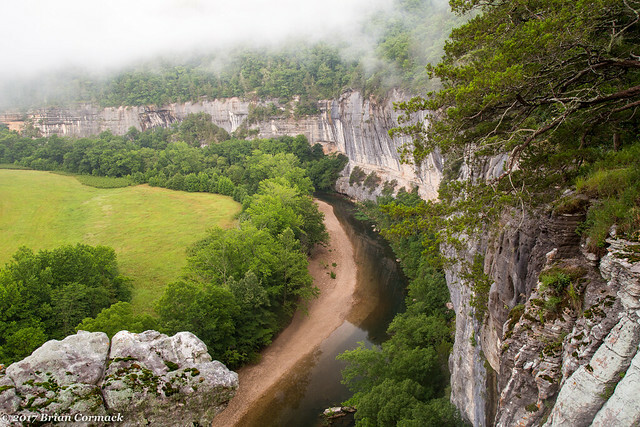 June 23: Boxley Valley, Buffalo National River, Arkansas. 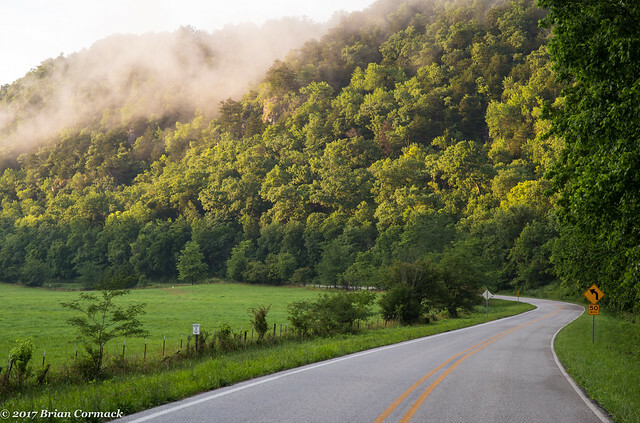 The Buffalo River is one of the prettiest places in this part of the country, and Boxley Valley might just be the crown jewel of the river. It had rained the day this was taken, thanks to remnants of a tropical storm drifted over. Fog clung to the top of the mountains that line the valley, which was hit by light from the setting sun. June 7: Highland Point, Cape Cod, Massachusetts. We spent a few days in Cape Cod in June, visiting with some friends who we hadn’t seen in years. We loved it there, and it has risen to the top of the list of places that we would move to if we ever left Arkansas (not sure about the winters there, though). 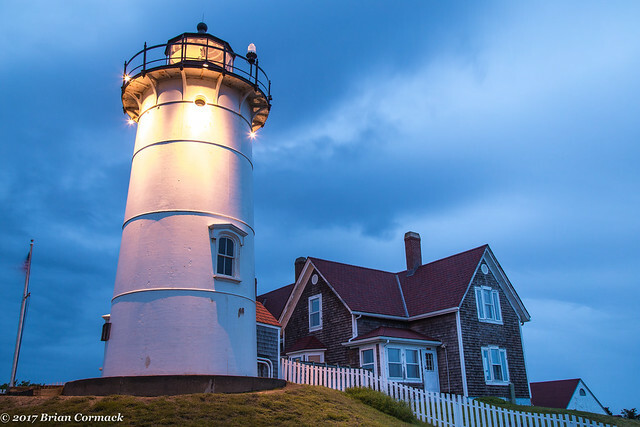 There are many old lighthouses on the Cape, and the Highland Point is the oldest and tallest. On our visit there, the sun was reflecting off of the glass of the tower. 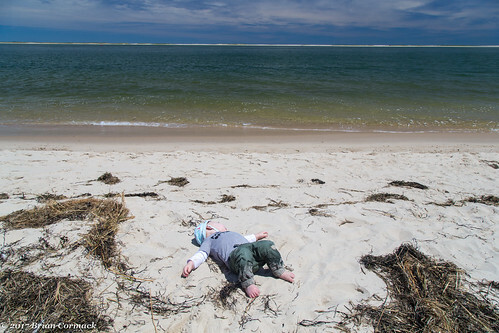 Jonah also enjoyed his time there, at one beach we went to he just laid in the sand and watched the waves roll in. 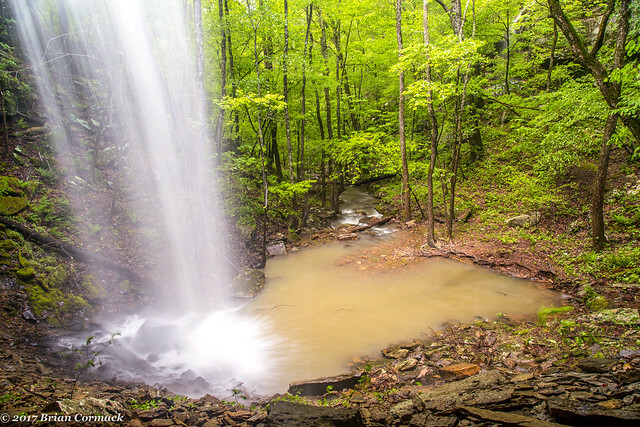 April 23: Pack Rat Falls, Ozark National Forest, Arkansas. It had been eight years since I last did the hike to Pack Rat Falls, and the old tree that sits in the pool at the base of the falls hadn’t changed much in that time. Apparently sitting in water has helped to preserve the tree (I’ve seen a picture taken 30 years ago and it looks about the same). 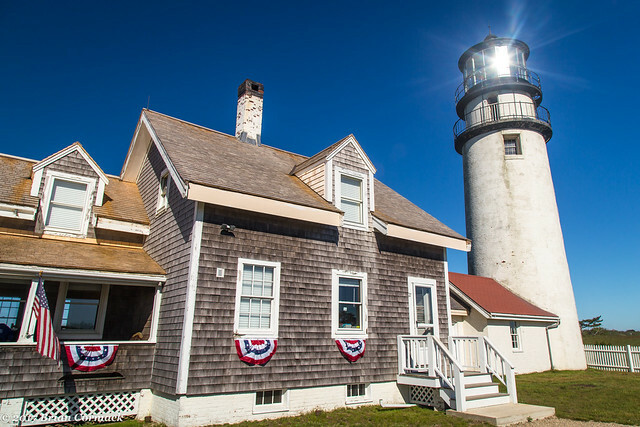 June 9: Nobska Light, Cape Cod, Massachusetts. We were really looking forward to visiting Cape Cod and Boston. The only downside was flying up there with a toddler, and we were nervous when we woke up early and headed to the airport. I know we got a few annoyed looks when we brought him on that plane, but we managed to do ok on all four flights to get there and back (although I had to change a dirty diaper in the small plane bathroom, which is not recommended). April 12: Little Rock, Arkansas. 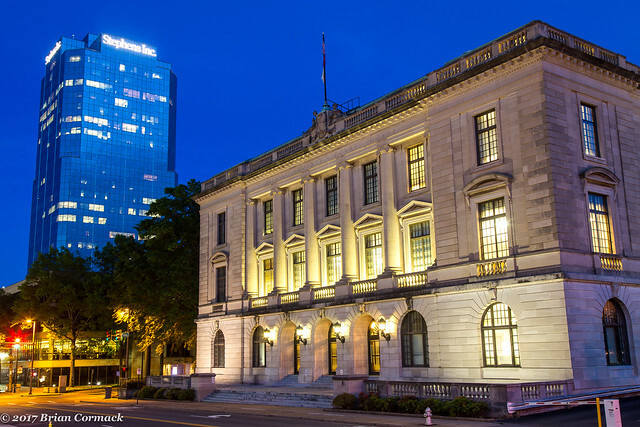 This is a shot of dusk settling in over the Pulaski County Courthouse, with the Stephens Building lurking above it in the background. This shot was taken from the steps of the Robinson Center Auditorium, after it re-opened from its long renovation. June 24: Roark Bluff, Buffalo National River, Arkansas. I wanted to get to this overlook before sunrise, but I accidently missed the trail and went the wrong way and had to run up the hill to get here in time. The view is great, especially when there is some fog drifting along the river. 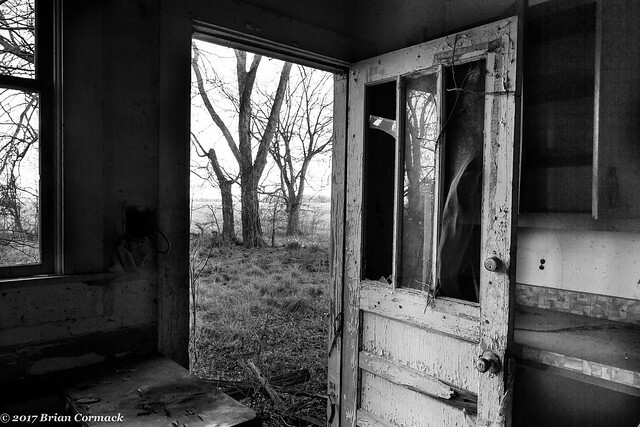 This was taken looking out the back door of an old abandoned house, which I think may have once been the “big house” of an old plantation. The house has been abandoned for decades, and the plantation lands surrounding the house are now used for the Tucker maximum security prison. It was a little eerie being close enough to the jail to be able to see it off in the distance. I am very humbled and grateful that this picture was chosen to be part of this year's Small Works On Paper exhibition, which is put on by the Arkansas Arts Council. April 30: Bingham Hollow, Ozark National Forest, Arkansas. Bingham Hollow is a great waterfall, and I’m especially fond of it because it’s a very short and easy hike to get there. This was taken after it had rained heavily the day before, and there was a lot of water going over the falls. 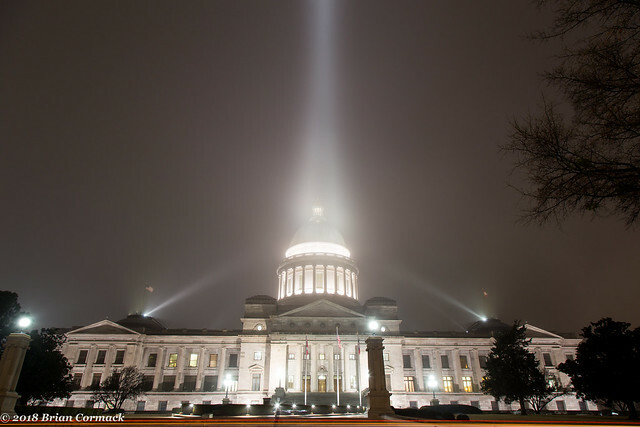 This shot was also published this year in the Arkansas Times. 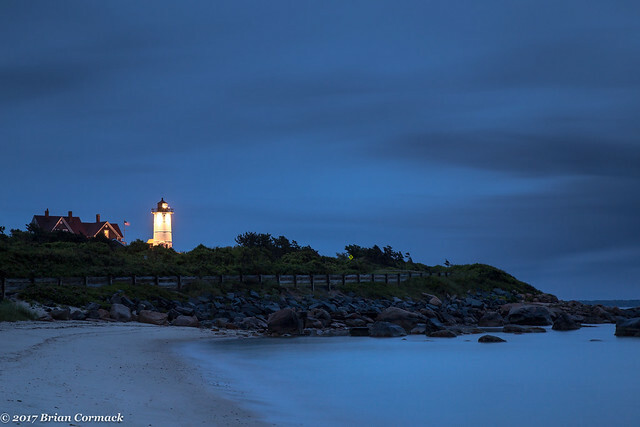 This lighthouse was about 45 minutes away from our hotel, and I snuck out early before sunrise to drive out there. It was pouring down rain, and I was worried about standing on the beach in pouring rain to try to get a few pictures. So I managed to pass by an open gas station and went in to at least buy an umbrella, where I discovered that I left my wallet behind at the hotel. Oh well. But luckily, the rain stopped as soon as I got to the lighthouse. The Nobska Lighthouse was built in 1876. 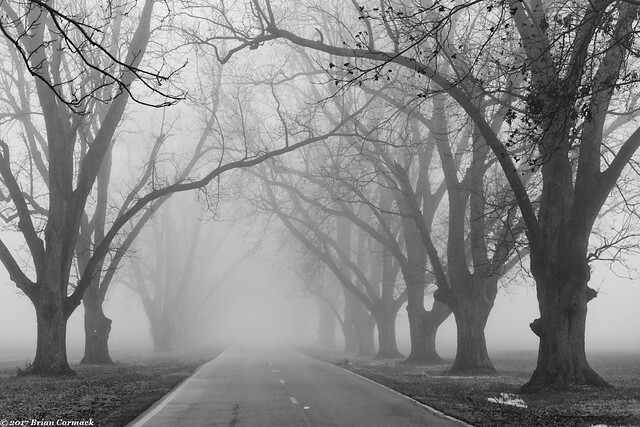 The pecan trees lining this road are well over a century old, and I’ve been wanting to get a shot of the trees in a thick fog for years. Luckily there wasn’t much traffic that day so it wasn’t too bad to stand in the road to take a few pictures. December 2: Little Rock, Arkansas. 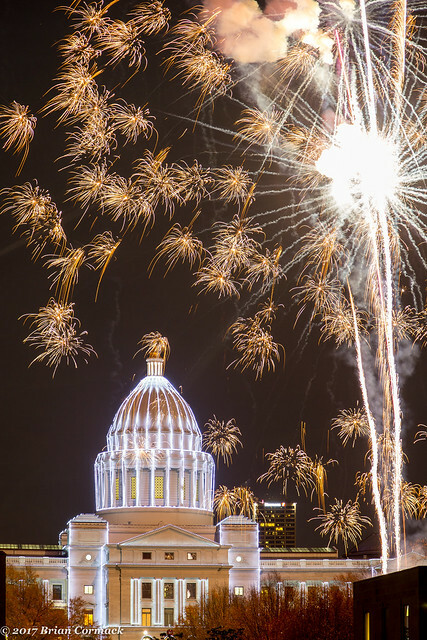 Every year, the state is kind enough to drape about 100,000 lights on the capitol building and then set off a little fireworks show when the lights are switched on. We decided to find a different angle on the fireworks show, and ended up on a hill behind the capitol. When I set up the camera, I seriously misjudged how big the fireworks would be. So when the show started I had to quickly re-adjust the camera in order to capture all of the fireworks blasts. This was taken at the very beginning of the show, before the camera was zoomed out. Getting pictures of fireworks involves a lot of luck, with the hope that the fireworks will do something interesting during the span of a few seconds that the camera is taking a picture. This one was a bit of an accident and was all luck, that somehow this blast happened during a two second exposure before I moved the camera. July 30: Near Stuttgart, Arkansas. A cold front has passed through, taking down the temperature and brushing away the usually thick humidity. Which meant it was perfect conditions for trying to get some star trail pictures. And while the cold front removed the humidity, it didn’t scare away any mosquitoes. The area around this old rice dryer was infested with thousands and thousands of mosquitoes (and I’m not exaggerating here, it was like a cloud floating through the air). 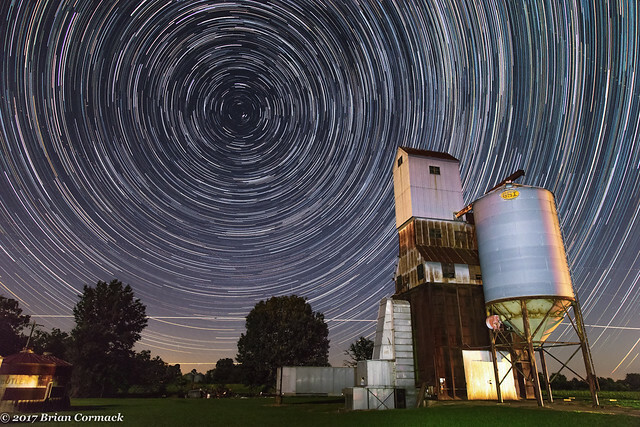 Luckily the mosquitoes didn’t pick up and carry off the camera during the hour and a half it was taking the pictures for this star trail. October 16: New Orleans, Louisiana. We weren't quite sure how it'd go with bringing a toddler to New Orleans, but we were pleasantly surprised to see how family friendly the city is. Even though he was stuck in a stroller, Jonah seemed to enjoy the music, the people watching and especially all the food that New Orleans offered. We will definitely be making another visit there again soon. 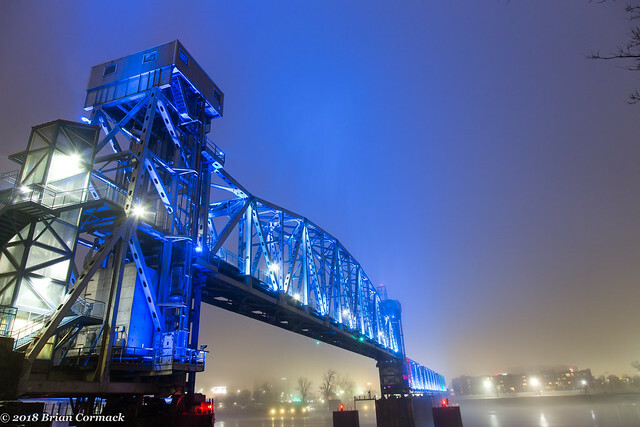 This shot was taken on a rainy morning, on a quiet stretch along the Mississippi River. The only people out (besides the people stuck in traffic on the bridges above) were two people fishing nearby. 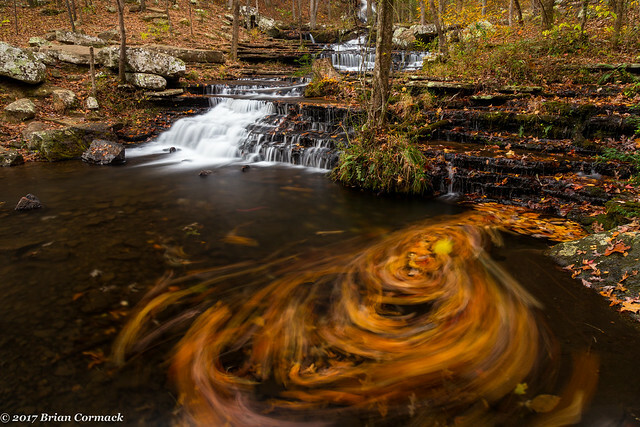 November 5: Collins Creek, near Heber Springs, Arkansas. It seemed like we were in store for another lackluster fall color season here this year, after a drought seemed to zap all of the life out of the trees. But at the end of October, the trees came to life and provided some great fall colors. This was taken at Collins Creek, which is a great playground for photographers since the waterfall here runs year-round. A bunch of leaves were caught in the current, and swirled around in this 25 second exposure that was taken when it was nearly dark. 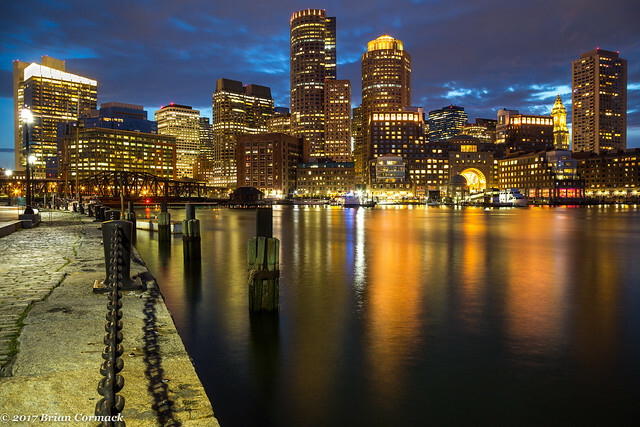 After battling the traffic in Boston, I ended up at this park to try to get a few pictures after sunset. It was a popular spot, with lots of hip and trendy bars and restaurants nearby. There were lots of people out walking (and a few photographers all trying to not get in each others pictures), and even a few seagulls and seals out playing in the harbor. If you've made it this far, thanks for reading and thanks for looking at these pictures! Here's hoping that 2018 brings everyone a great year!